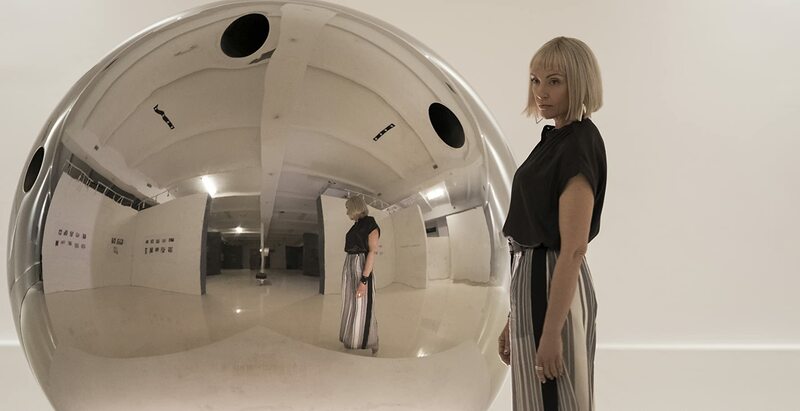 Netflix’s latest release Velvet Buzzsaw is a half-hearted and muddled swing at the art world, proposing to critique the tricky relationship of art and money with the likes of satire and horror. Instead, we find a vague, sparse, and mild-mannered take on contemporary art, either too polite to pack a full punch or too farcical to care to comment. Lacking enough shock, brute, or force to pass as an outrageous horror that takes on the evils of modern society, Dan Gilroy’s Velvet Buzzsaw is all bark and no bite. In Miami, a cluster of art critics, assistants, and sellers flock to the latest exhibits, peacocking around assigning astronomical value to the abstract and degrading anything that has ‘no courage.’ Jake Gyllenhaal holds up the film with the character of Morf Vandewalt, the ostentatious and overly-harsh art critic. ‘Critic is so limiting and emotionally draining’ is one of the few nonsensical lines that Gyllenhaal delivers with unquestionable farce. Toni Collette plays the platinum-bobbed Gretchen, the money-grabbing and oblivious art buyer, Rene Russo is Rhedora Haze, the ex-punk-rocker Museum owner who’s always chasing the next big thing. Zawe Ashton is Josephina – her ambitious but overlooked assistant, John Malkovich is Piers, the tired and uninspired washed-up artist, Daveed Diggs is Damrish, the new artist in town ready to steal Pier’s spot at the top and Natalia Dyer is Coco, the poor, exhausted receptionist who runs around after this heinous lot. All hell (literally) reigns loose when Josephina discovers a plethora of powerful and grotesque unseen paintings stored away in her deceased neighbour’s apartment – an unknown man named Vetril Dease. Mesmerised by his work and greedy for approval, Josephina steals Dease’s work and hurries to show Morf and Rhedora. The two adore his elaborate work and Rhedora decides to display his work in her gallery. Naturally, the industry loves this enigmatic and tragic star whose work often shows painful and horrific encounters. As Dease’s work starts to take off, a string of terrifying and gory murders begins cropping up in the perimeters surrounding his work, attacking those who dare disturb his art. Velvet Buzzsaw has the skeleton for a fun and thought-provoking film; it mixes satire, the avant-garde and horror and has a stellar cast of accomplished actors. It has the opportunity to play with abstract visuals and make some cutting remarks on art consumerism in the name of comedy. Instead the visuals are dull to the verge of being an eye-sore, what few critiques are made are corny and stale, and the cast is vastly underused and underwritten. From the man that brought us Nightcrawler, you’d expect an atmospheric and silky-smooth vivid criticism of how tragedy spurns profit, or even a warning about the lack of respect for privacy in an age where art must be seen and capitalised off to have worth. Instead, we get a barren, watered-down episode of scooby-doo that is flimsy and fickle in its structure. Buzzsaw’s criticism of the art world seem unfounded, shallow and frankly indifferent to the subject at hand. Each character is built off an immense cliché – which could have worked, if the writing was at least self-aware or funny, instead the writing just feels lazy and outdated. Everything flickers about too much; some good promises are set up to soon be forgotten. Morf starts investigating the life of Dease and he uncovers some solemn truths about Dease murdering his own father. Instead of diving deeper into the monster behind the paintings, Velvet Buzzsaw switches off, reeling down too many alleyways of mediocracy at once. It focuses on boring relationships and petty feuds that don’t supply the film with anything but do manage to detract from any thriller suspense the film could have built up. The supernatural and murderous aspects seem like they have just been thrown in for the sake of it. There’s little to no further ‘uncovering’ of this killer painter and his phantom strokes, and the entire piece lacks enigma or mystery. The concept of homicidal paintings is simple, kitsch idea but one that could have made for a killer horror-comedy. 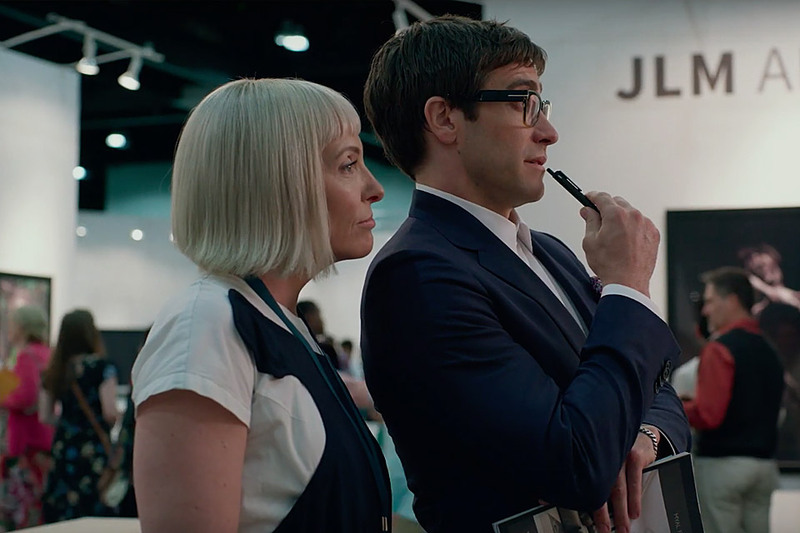 However, paired with a meek sound-scape and dull cinematography, Velvet Buzzsaw misses out on what could have been a hilarious and creative dive into the blood money of the art world.